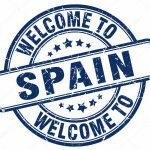 Replate your vehicle in Spain – Including our free e-book guide, updated for 2018! The Spanish tax authority Hacienda will require all online property rental portals to provide exact details upon landlords and income as from July 2018. The measure, announced in the strategic Tax Plan for 2018, will force companies such as AirBnB, Homeaway, Wumdu or Niumba, amongst others, to hand over to tax inspectors the personal details of landlords and how much income they are earning. Even lets that have no declared price will have to be handed over. This move comes shortly after Hacienda announced plans to order online marketplaces such as Ebay or segundomano.com to hand over details of online sellers so that the tax authority can crosslink profits made from online sales with personal income tax declarations. All companies and individuals that act as intermediaries between landlords and renters will be obliged to sign up to the code of practice. Hacienda will initially concentrate their efforts upon online platforms, but have not ruled out extending the new regime to offline agencies in the future. The owner of the property must be identified, along with the cadastral reference of the home, which will allow Hacienda to cross-link the property owner with regional tourism registers. The renters must be identified, along with the number of days they used the property and the price that they paid or negotiated. Since 2015 Hacienda has been warning tax payers that if they let out their property they must pay tax on the income. It was in this year that Hacienda identified the tourism rental market as one of its principle battlegrounds in the fight against tax evasion. According to government figures, last year 21,500 tax payers were issued with a warning that Hacienda had discovered they were illegally letting out their properties and given a chance to regularise their tax situation before being investigated. From next year it is expected that this warning period will end and Hacienda will move to directly fine landlords who have not declared upon their income. Short-term landlords are obliged to identify their tenants with the Guardia Civil and keep their personal ID. They must also comply with regional tourism laws regulating the letting out of property to tourists. Click here for our free guide on how to register your Andalusian property for short term lets. If you have or are planning to let out your property, it is no longer worth taking the risk of not registering with the authorities. Cervantes Alarcon Consulting can register your property and set you up to start declaring the income. We do not act as letting agents – we are accountants and tourism specialists who get you up and running as smoothly as possible, and ensure your venture continues to function efficiently. María Luisa Cervantes is a chartered accountant who graduated from the University of Granada in 2002. Founder of Cervantes Alarcón Consulting, she is an experienced accountant and financial advisor who is a member of the Almería guild of economists. With more than 15 years of experience in business administration and international trade, she is also a subject matter expert in the UK - Spanish bilateral agreements which cover the rights of expats to live, work and retire in Spain. Siguiente historia If you’ve recently setup a business, you may be eligible for a personal tax relief…. Historia previa Sell online? Make sure you’re declaring your tax – even if it’s a once off! Work inspectors may start to carry out surprise bar inspections at any time of day! – Don’t be surprised if you suddenly get a night-time or weekend inspection in your bar, even if you are full and busy trying to serve clients! Changes to the ITV – The Spanish government has made some important changes to the way the ITV system works for vehicles across the nation. Here’s an explanation of the main changes. Online property portals obliged to inform upon landlords and lets – The Spanish tax authority Hacienda will require all online property rental portals to provide exact details upon landlords and income as from July 2018. New payment protections as from January 2018 – As from January 2018, Spanish banks will be forced to take steps to protect customers against fraud and theft. Shopping online will change forever…..
Read all latest news articles…. Tax deductions for the self-employed in 2018 – Which business expenses are tax deductible in 2018 for the self employed? If you’ve recently setup a business, you may be eligible for a personal tax relief…. – Rate payers who put money into a new business last year may have the right to deduct up to 20% of the investment off their personal income tax. Give your new employee an indefinite contract! I gave severance notice and he never came back…. Sell online? Make sure you’re declaring your tax – even if it’s a once off! – The Spanish tax authority has ruled that any individual selling goods second-hand online is still liable for tax, even if it’s a once-off sale. Non resident but own a Spanish reg car? Take care and check your tax situation… – If you are non-resident in Spain but have a Spanish registered car, you may be unwittingly registered as a Spanish tax payer – meaning you are liable for changing your foreign licence to a Spanish one, and may face a hefty fine for not doing so. Why non-residents shouldn’t be on the padrón – It is obligatory for Spanish residents to register on the census (padrón) of the town where they live. But it is neither obligatory, nor advantageous, for non-residents to register on the census. We explain why. What taxes do I pay on my UK income (ie pension or dividends) in Spain? – An overview on how UK income is taxed for expats who are resident in Spain and thus liable for tax here. Have you paid your ITP tax on your rental? Do you have a large family? Become a familia numerosa! – It is easier than you may expect to become a familia numerosa, or large family. And the benefits are worth it. Non resident inheritance – If you aren’t resident in Spain but have inherited assets located in the country, you’ll still have to file an inheritance tax form in Spain and pay the appropriate taxes. Do it quickly or face a penalty. What taxes do I pay on my UK income (ie pension or dividends) in Spain? – If you have income from the UK and are resident in Spain, you need to declare the money on your annual tax form. By efficiently using the UK and Spanish tax treaty, you may be able to save on taxes! Residency permit or NIE number? Should I rent my apartment short or long term? – Short term lets may look profitable, but sometimes you won’t earn as much as with a decent residential let… Let’s check the sums! Replate your vehicle in Spain – We have produced a free e-book which explains the whole process of matriculating your vehicle in Spain. Updated for 2017! Operating a tourism rental in Andalucía. Work inspectors may start to carry out surprise bar inspections at any time of day! Should I rent my apartment short or long term? Lending money to a company?